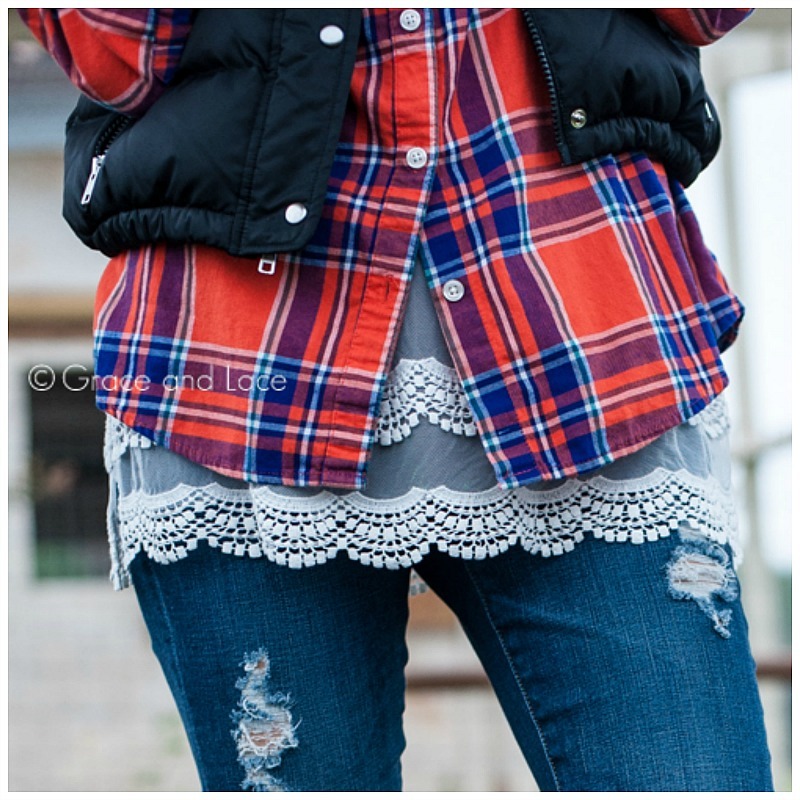 The Grace & Lace Top Extender creates a fun and feminine look, adding dimension to any top! 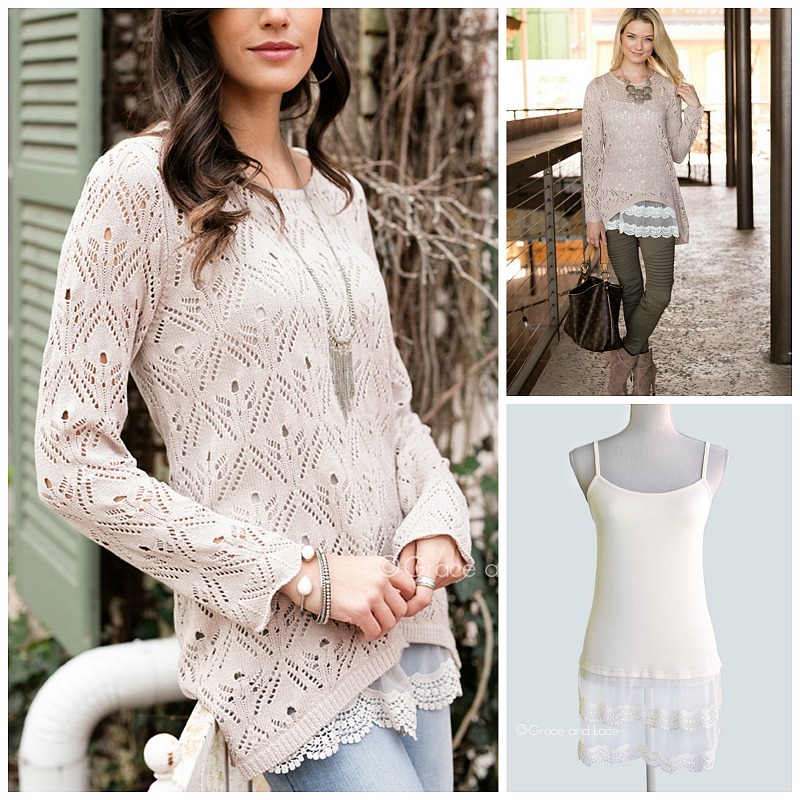 Our jersey-knit cami-tank is adorned with 8" of lovely, luxe, double-layer, bobbin-knit lace. Perfect to trim out your tops with a hint of girly flair. Or, pair it with an button-down for a completely different look. Either way, you'll breathe new life into your wardrobe with this sweet little layering piece! No matter how you wear it, our top extender has the perfect fit, with adjustable straps and an elasticized top edge in the back for an individual fit you'll love.